It’s Shark Week on discovery. And it got us in the mood for something tasty. No, we didn’t want shark-fin soup. So instead we picked up some fresh swordfish from the local markets in Galilee. It’s sort of like a shark. This meaty fish is perfect for the grill. And with all this nice weather why not take advantage of that. 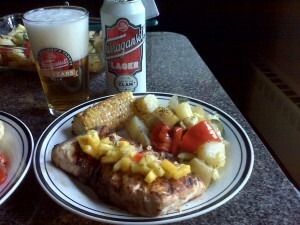 So here’s the grilled swordfish recipe we had this weekend to kick off Shark Week. Topped with a mango salsa to give it that pacific flavor. Preheat grill. Slice each mango on either side of the pit to yield 2 thick slices. With a large spoon, scoop mango flesh in one piece from mango skin. Repeat with all slices. Season with salt and pepper. Place mango slices cut side down on grill and grill for until lightly charred, about 2 minutes. Flip mango slices and grill 2 minutes longer. Set mango aside to cool. Combine red pepper, green onion, jalapeño pepper and olive oil in a large bowl. When mango slices have cooled, dice them. Add diced mango to the mixing bowl with lime juice, cilantro and salt and pepper. Toss to combine. Taste and adjust seasoning. Set aside. Brush grill with olive oil and season the fish with salt and pepper. Grill fish about 5 minutes per side, until just opaque in the center. Garnish fish with mango salsa and serve immediately. 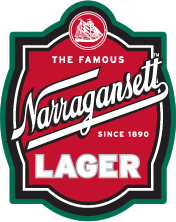 There’s no better beer to have with this than Narragansett. We just had to find the clam can too. 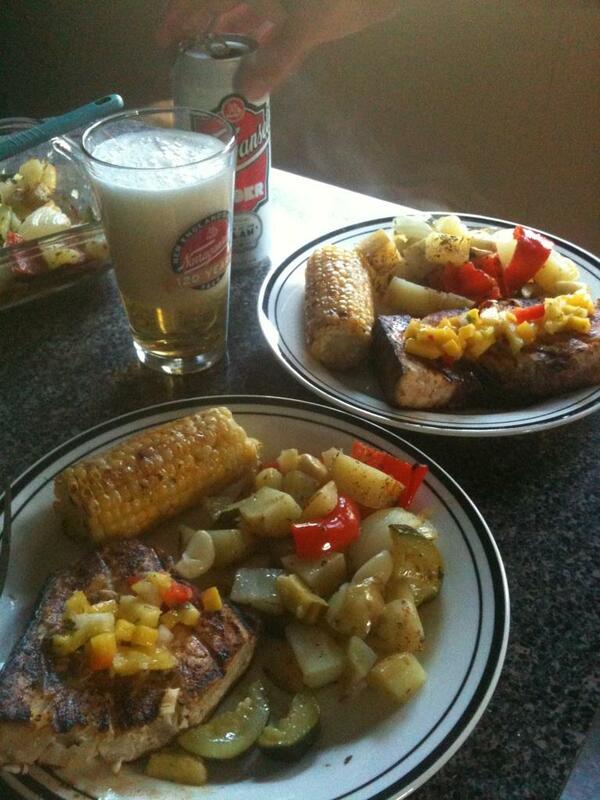 Some grilled corn on the cob and a side of roasted vegetables made this dish complete. Hope you enjoy as much as we did making it.